Booklet pictures and description courtesy of Robert Rust. 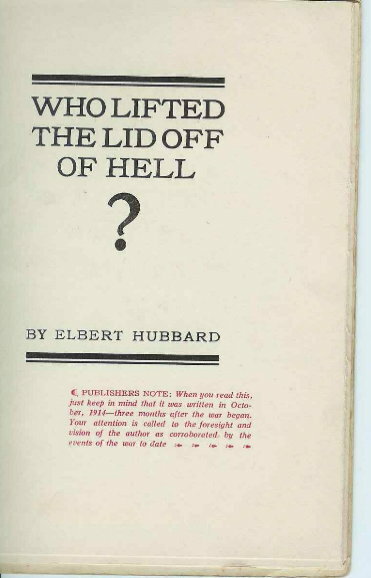 by Elbert Hubbard, 1917. 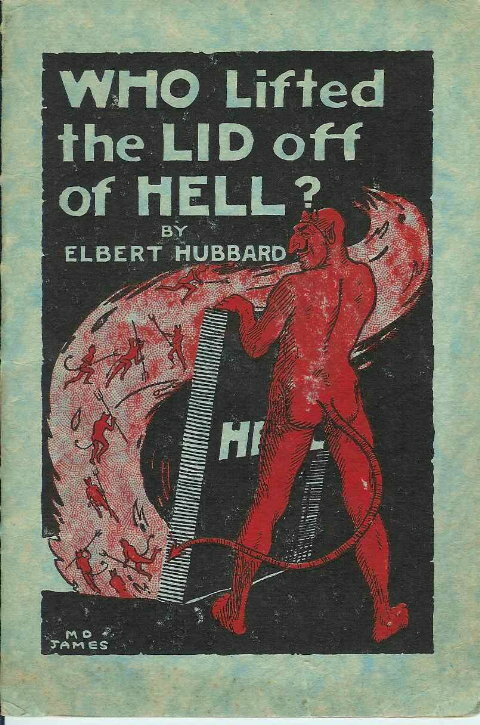 Originally published in 1914. Art work by Merle James. This booklet measures 8 1/8" x 5 1/2" and has 15 pages. This copy in blue wraps with Red and Black ink. 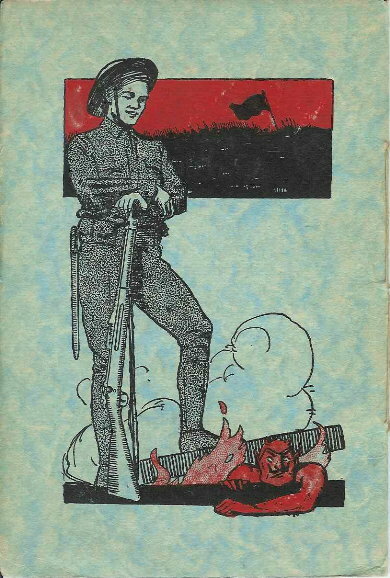 This is the Circa 1917 edition issued during World War 1. The cover artwork is by Merle D. James who was the Roycroft Art Director after Raymond Nott. James is also notable as the father of Betsy James who married a talented artist from Maine/Pennsylvania named Andrew Wyethe. He later became the Art Director for the Buffalo News Rotogravure Section.